After a good? night’s sleep and a lovely relaxing morning nap (you’d think that after 10 days away from work you would stop waking up at 6am but apparently not) we’re ready for part two of the Madikwe set. I have decided to save the big 5 until the end, not least because I still have in excess of 200 photographs of Lions and Elephants to attempt to sort out. Building up from the birds … I’ll start with the antelope. 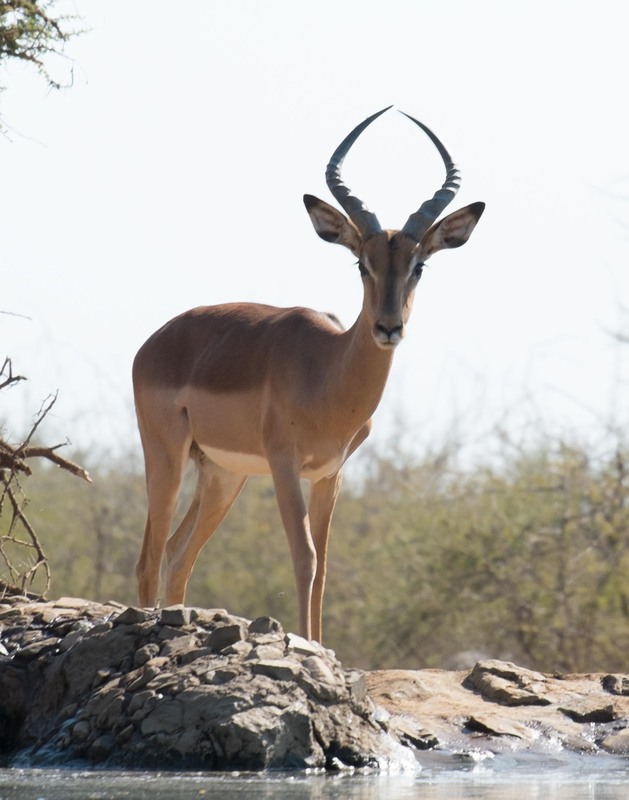 Interestingly, SA does not have deer, they only have antelope and the difference is that if their horns are broken, they will not grow back (they’re made from bone covered in keratin rather than just keratin apparently). 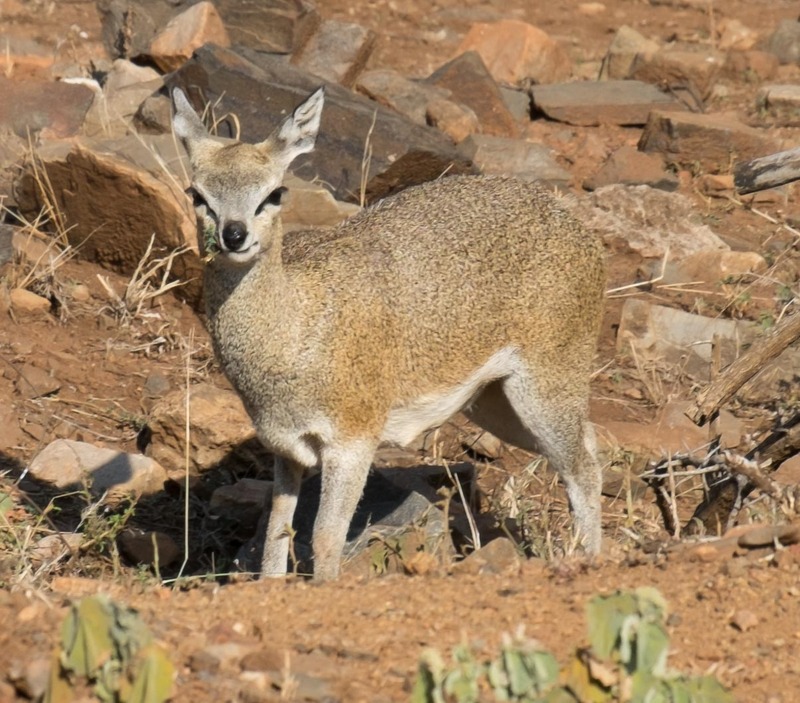 We spotted quite a number ranging from the tiny klipspringers (rock hoppers) and steenbok (stone bucks who just do not stay still long enough to be photographed) up to the majestic Kudu. The males are those with horns and tend to be a little more photogenic (in my opinion). First up we have the klipspringers. 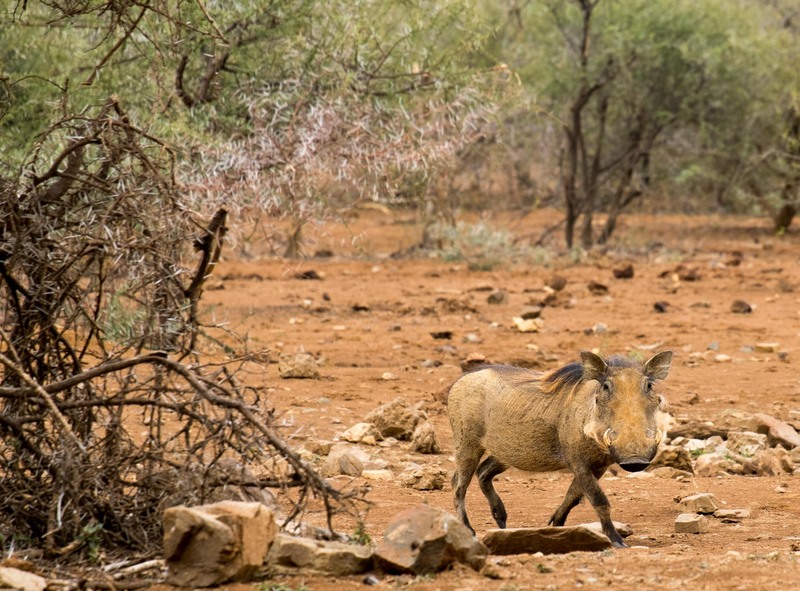 They are fairly small and we were lucky to see them having left the local cliff for a drink at a water hole. 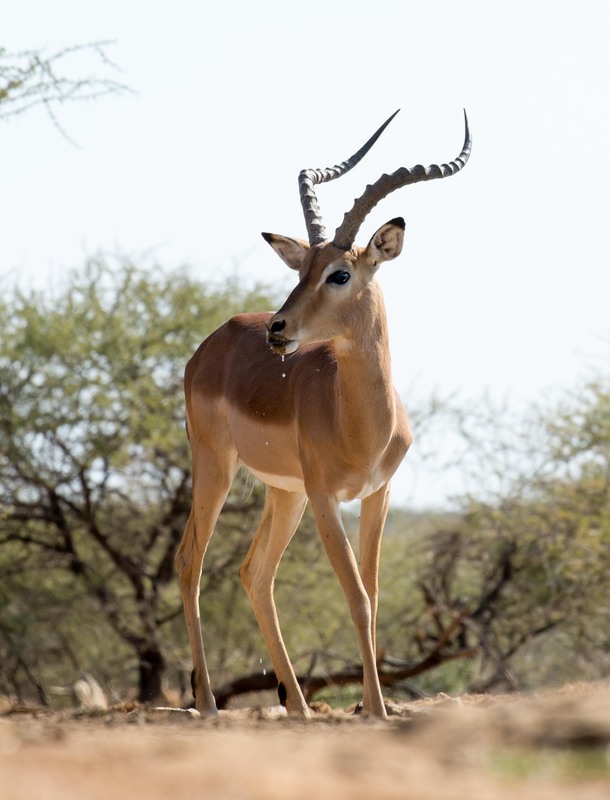 Then Impala. Big ears (all the better to hear you with my dear) to hear predators in the bush and lovely reddish brown colour that glows in the sunlight. One male to a larger group of females (and they are flighty and keep running away as it’s breeding season). The younger males tend to stick together in a coalition – safety in numbers and all that. In the first image you might spot the red billed OxPecker perching on the side of the Impala. These are fascinating birds who hitch rides on antelope, buffalo, giraffe etc. 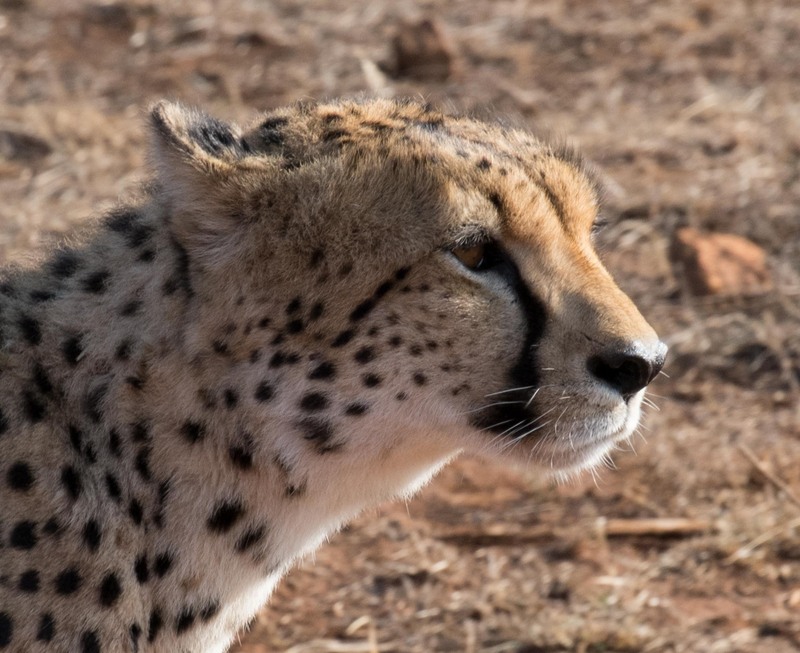 They eat ticks and other parasites while being carried about the bush – a free ride and a free meal (it’s good for the other animals as well). 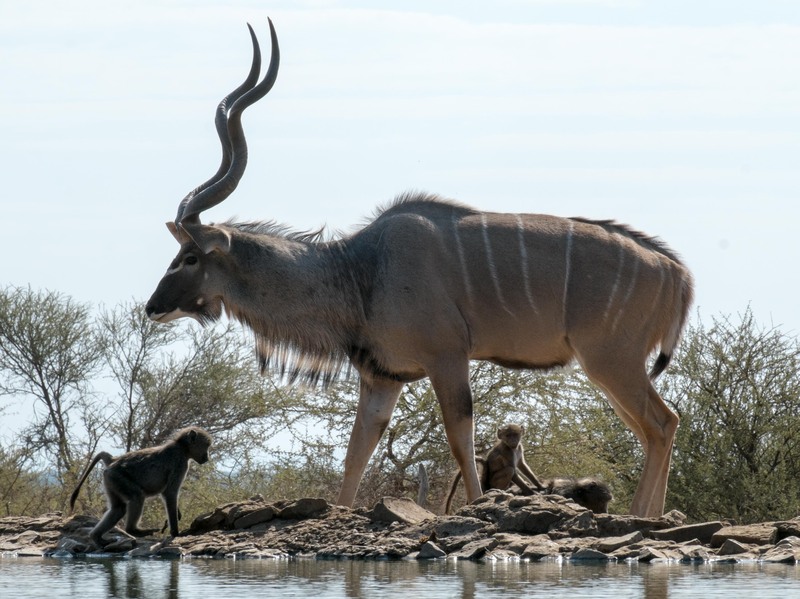 There are two nearly identical photos taken at the water hole of a male about 2 and a fully grown … the horns just get more impressive until they’re about 5 years old before they stop growing. Moving on from the antelope is another from the Gnu family (related to the antelope genus if you must know) and they pretty much deserve their place in the ugly 5. Meet the Wildebeest. 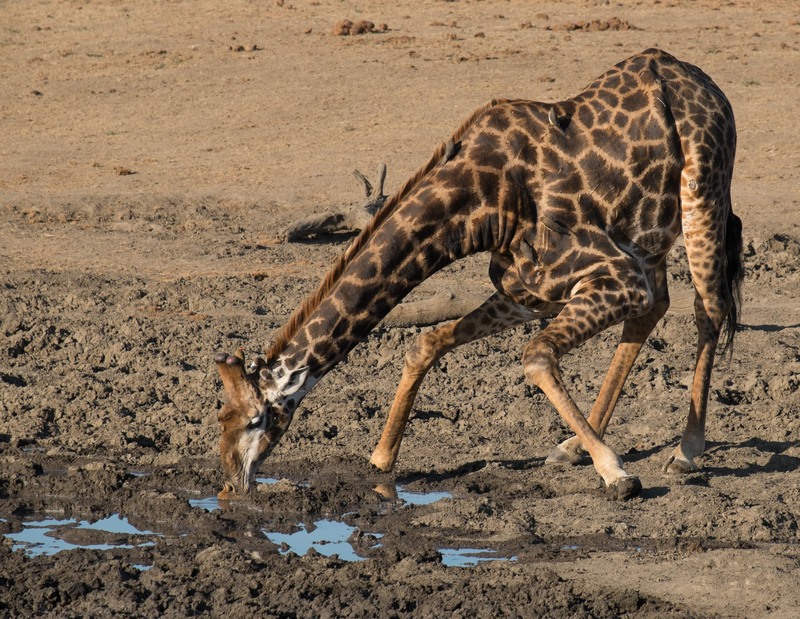 This was taken at the watering hole outside the lodge. This part of SA had a very dry rainy season if that makes sense. Last November they should have had about 500-600ml of rainfall and they had about 150ml. 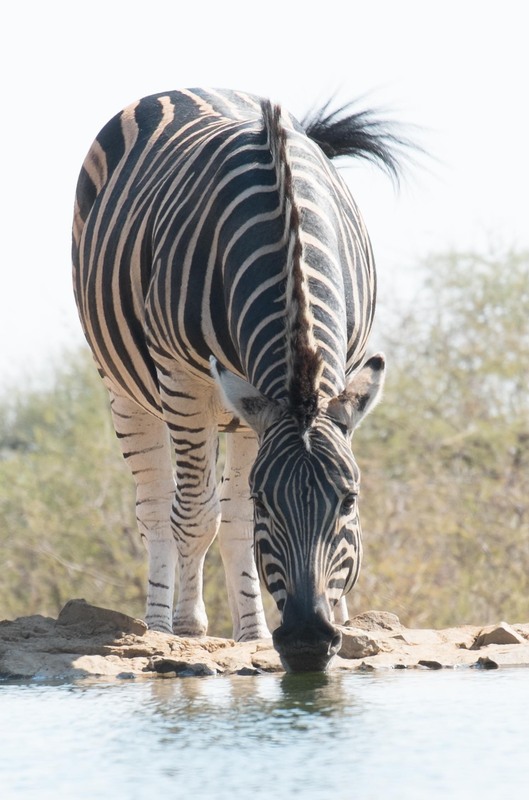 It meant that the bush looked very dry, a lot more just looked dead compared to my first visit 15 months ago and that the animals are relying heavily on the lodge water holes and other pumped bore holes within the reserve. Like the Big 5, we spotted four out of the Ugly 5. 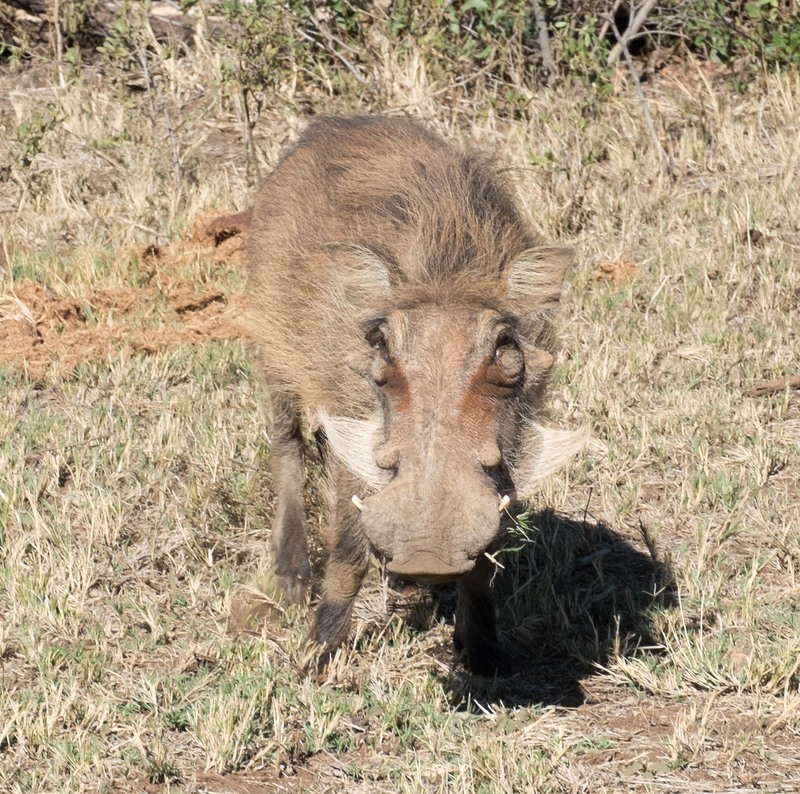 Number two was the vulture (the silhouette pic in the last blog) and the third was the Warthog. I think these guys actually get a bad rap as they’re really quite cute – they sense danger and their tails go straight up vertically and they prance off into the bush so all you see are these fluffy tails bobbing through the undergrowth and who didn’t love Pumba in the Lion King? 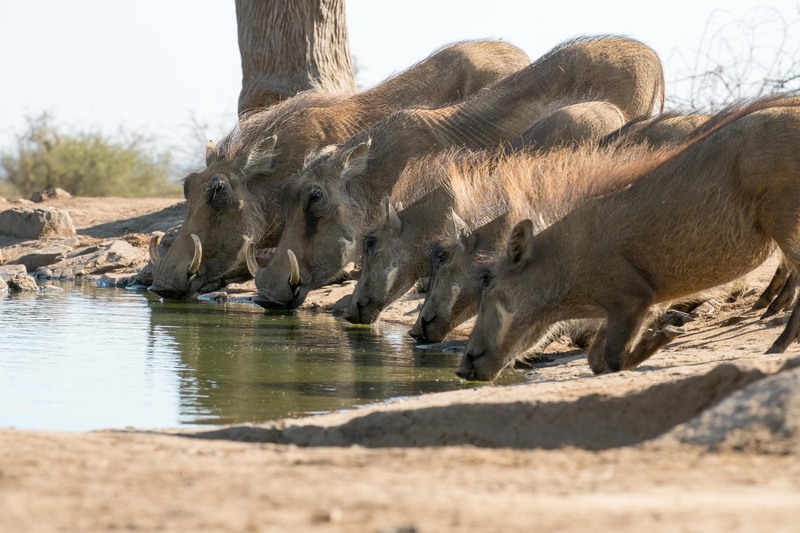 They also seem to look after their family very well and we regularly saw at least two groups bringing their young to the watering hole every day. And last but not least in the ugly five, it’s the cuddly bear also known as the spotted hyena. 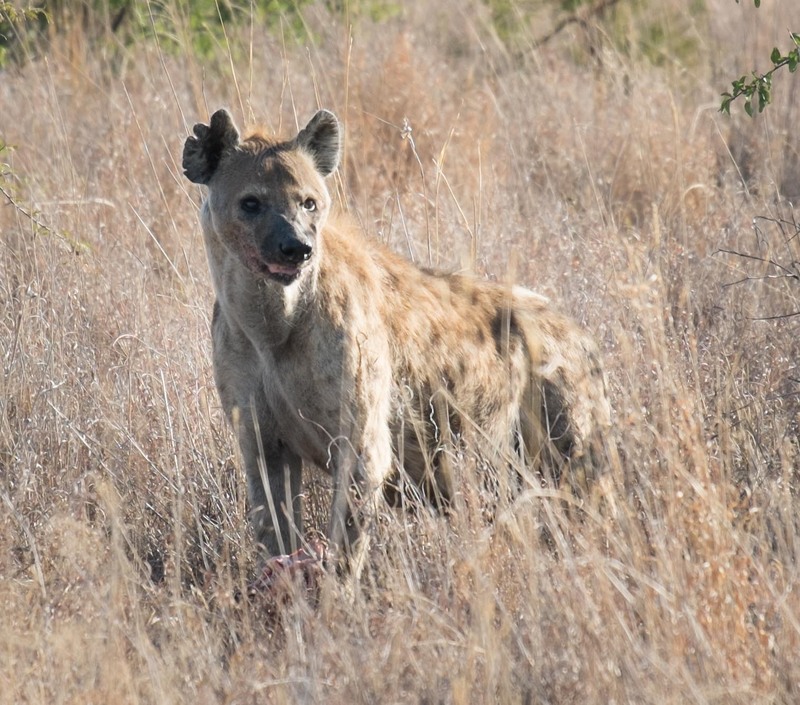 Spotted Hyenas are opportunists and the “nicer” of the two types at Madikwe. 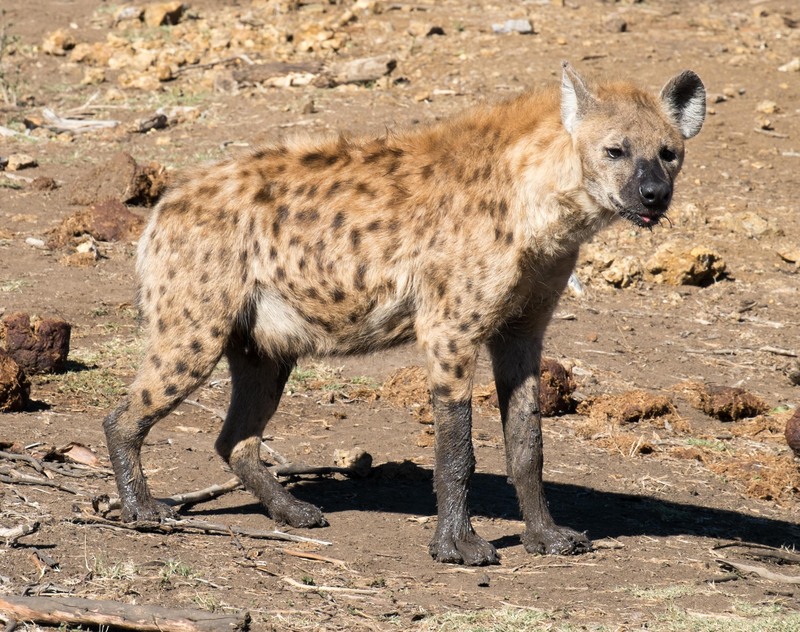 The Brown Hyena is a predator to be wary of but the Spotted Hyenas are scavengers and the cleanup operation of the bush. That said, it’s still not nice hearing them crunch (zebra) bone from 200m away. Ugh. At least it stopped long enough for me to take a picture (the first one). 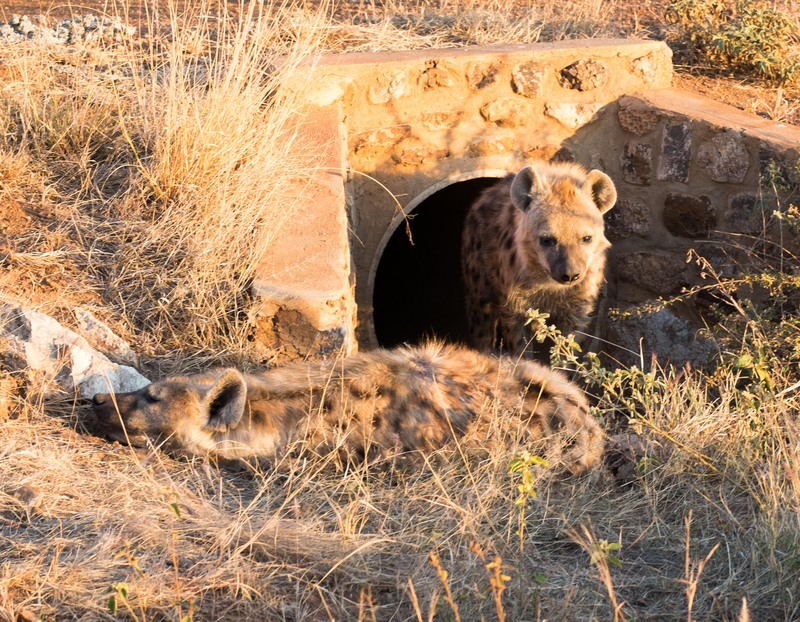 The second pic is of two youngsters, we didn’t spot their mum but they were taking advantage of a pipe under the park runway to shelter from the heat of the day. The third one had just been playing in the mud. This is getting a bit long so I hope it’s not too boring but there’s a few to go yet! 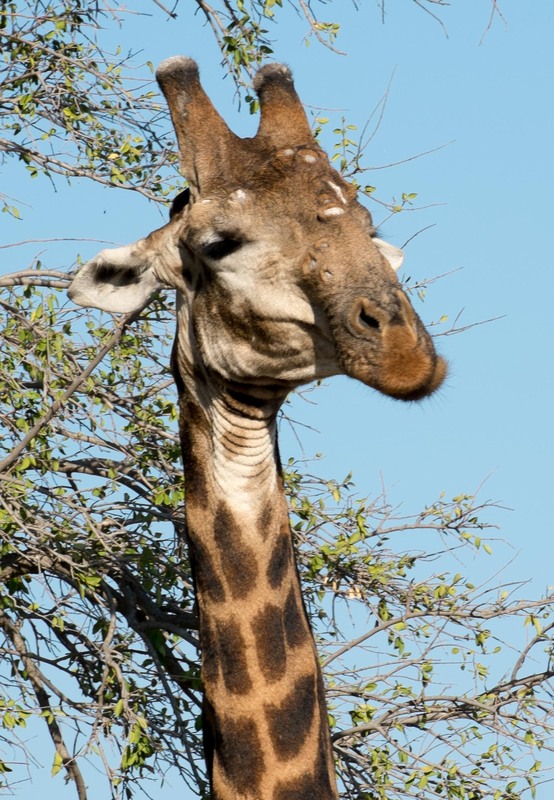 Did you know that the group pronoun of the giraffe is a wonder? 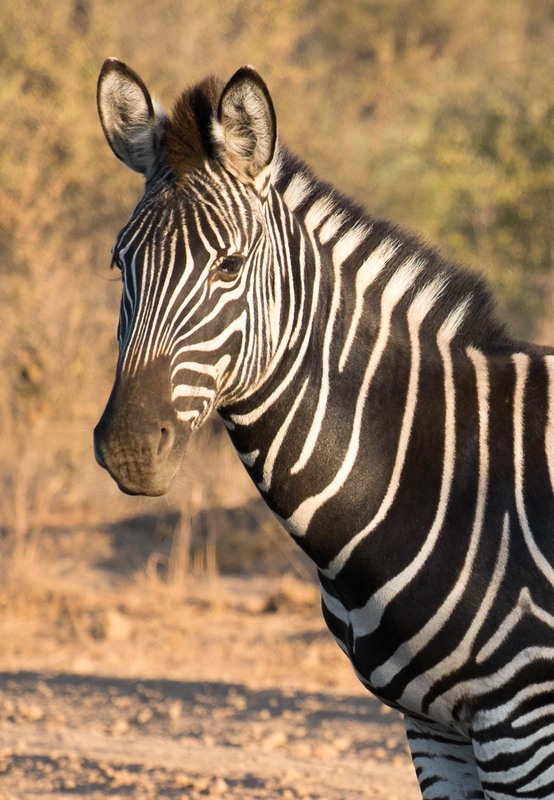 Or for the zebra it’s a dazzle? They are both beautiful creatures to look at. 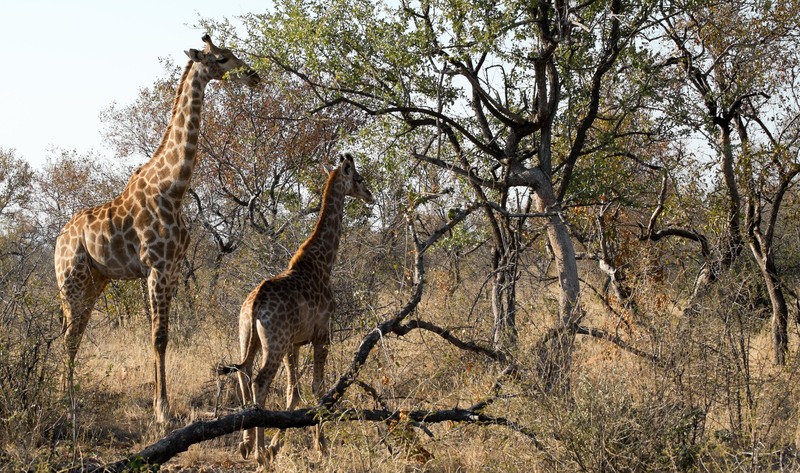 Firstly the Giraffe … they are soooo tall. Just massive. They’re also all different colours – some are so fair, others have really dark spots. Here we have a majestic male with his head in the trees but he does eventually show you his head and you can see scars from where he’s been fighting recently (they’re vicious fighters). Then we have a mum and camera shy youngster. Finally … we were lucky enough to spot one drinking … it’s a dangerous thing for them as it takes a while to get down to that level! Next the Zebra. 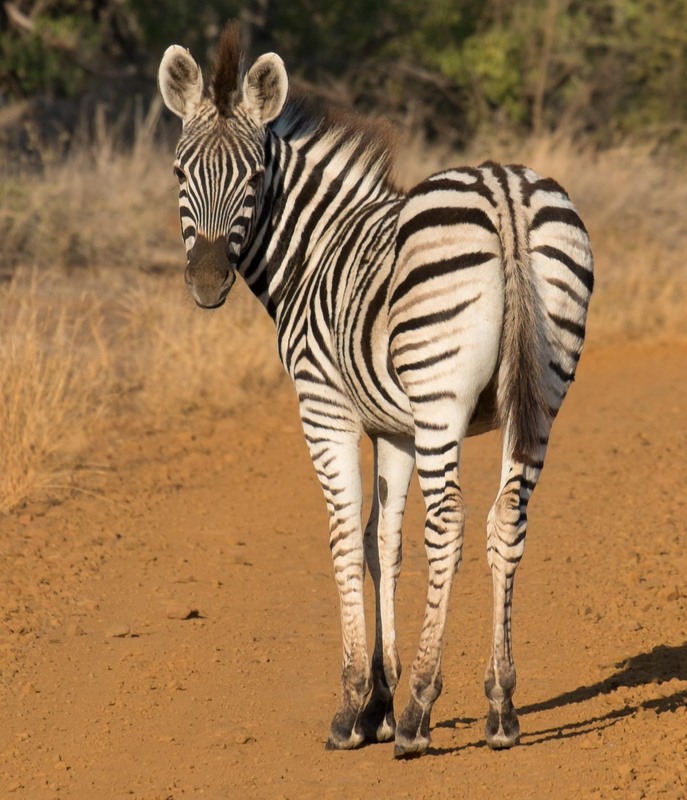 Every Zebra is different – their stripes are a unique marking and they are so elegant and pretty (until you hear them). They’re also pretty good at posing nicely and setting up “does my bum look big in this” shots over their shoulders. 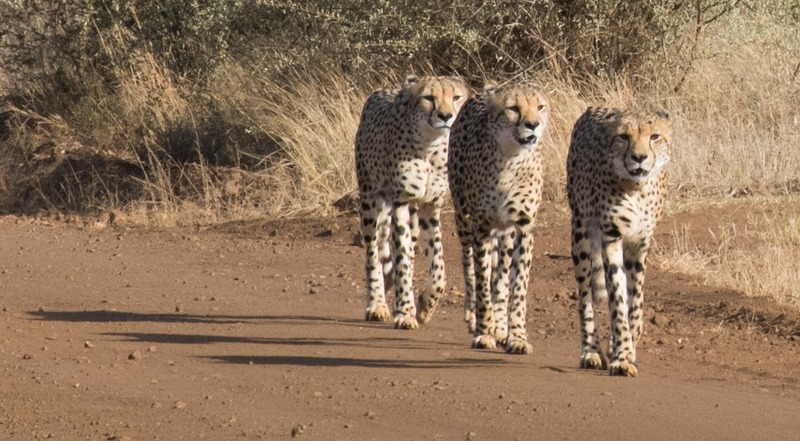 And finally … as this is probably my longest post to-date, a treat to finish with … a coalition of four (the fourth was being antisocial) beautiful male cheetahs. Stunning.